May 16, 2017 – Osborne, Kansas, USA – Osborne Industries, Inc., a leading manufacturer and supplier of advanced pig production equipment, is pleased to announce that it will be exhibiting at VIV Russia, the nation’s premiere feed-to-meat tradeshow and conference that represents every step in the livestock meat production process. The show is held in Moscow, Russia, from May 23-25, 2017. Osborne will be present in Hall 8, stand 10D1. Osborne USA will be showcasing the ACCU-ARM® Survey Scale™, an automated pig sorting scale for large pen finishing. Osborne’s Survey Scale is a component of Osborne’s exclusive Weight Watcher™ growth management system: a sorting and feeding system that allows producers to feed pigs based on their actual weight and produce more uniform animals for marketing. A concept developed from extensive research and animal behavior studies by Osborne USA engineers and scientists, Weight Watcher uses animals’ natural movements from feed to water to automatically weigh and sort animals. 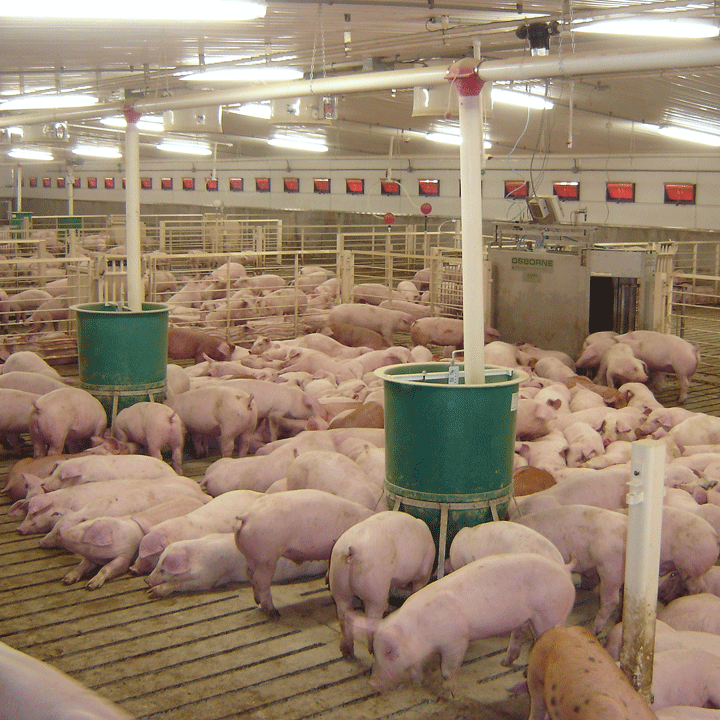 Lightweight animals can be fed a high-performance feed to accelerate gain and cut time to market, while heavy pigs receive a ration that maximizes return on gain. Feed is automatically phased to match growth rates and minimize wasted nutrients. Successful implementation of the Weight Watcher system allows producers to turn barns quicker and market more pounds of pork. Additionally, Osborne USA will showcase the latest model of its well-known FIRE® (Feed Intake Recording Equipment) pig performance testing system. FIRE is an ad-libitum feeding system that automates individual animals’ daily feed intake and other performance characteristics for the genetic, feed and pharmaceutical testing of pigs. The system is successfully used by more research and genetics companies than any other performance testing system. Visitors can take advantage of learning about Osborne’s complete product line that ranges from traditional equipment like Stanfield® pig heating mats and Big Wheel® feeders, to advanced, automated systems like Weight Watcher, FIRE, and AGRI-AIDE® farm ventilation systems. VIV Russia, held biannually, is Russia’s premiere event for animal husbandry and feed experts, bringing together industry professionals from all over the world. The exposition targets professionals in the areas of feed mills, pig, cattle, and fish farms, meat processing companies, and more. Osborne Industries, Inc., headquartered in Osborne, Kansas, USA, specializes in the development and manufacture of pig production equipment, with over 40 years of experience in the agriculture industry. Osborne’s products can be found in over 40 countries around the world. Only Osborne automated management systems (FIRE Performance Testing System, TEAM Electronic Sow Feeding System, and Weight Watcher Growth Management System), manufactured in the USA, are available in Russia through Osborne Industries, Inc. (USA) or its affiliate Osborne Russia. For more information on Osborne USA products, call 1-800-255-0316 (1-785-346-2192) or visit www.osbornelivestockequipment.com. In Russia, contact Mikhail Koreev with Osborne Russia at info@osborne-russia.ru or call +7 (4722) 21-92-32.